Partner, thanks for the video on this link. We still need this 30' High Wall all along from the Pacific Ocean to Brownsville, Texas except the Big Bend National Park area where we already have Conyons along the river for a wall. We have been waiting for this Southern Border Wall for too long but it is a great start for building the Border Wall. Partner, this is because it is CORTEN type steel structure material. It is very reliable steel material and it is pre-rusted but it will never destroy itself since you do not have to paint or galvanize this material ever again. If you are referring to the Facebook video, towards the end, the filmer/narrator estimates the height at 23 feet. That’s too tall for most ladders. They climb up on the little nails sticking out?? The Romans built ramps to get to the top of Masada. That would be the hard way. No, they would build a ladder into the fence itself. In other words, they’d use two adjacent bollards in the fence as the side rails of their ladder, and would attach rungs to the two bollards from the ground to the top. Presto, instant ladder. What are they going to use for rungs? Almost anything would work. You could even use rope and wouldn’t need tools or nails, but 1x4’s would be fine, though personally I’d want something a little stouter, spaced a foot or so apart and you’d be good to go. It’d all fit in a small backpack and weigh almost nothing. It’s not rocket science. I'm just sayin' that they'd have to bring rungs with them. 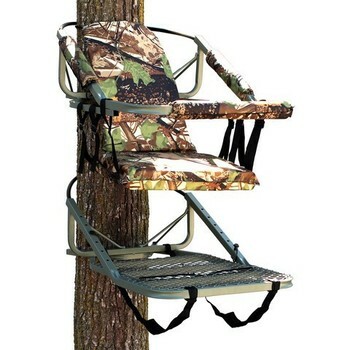 I wonder how a Tree Climbing seat would work on them vertical pipe looking things?? In September 2005 some thousands of sub-Saharan African migrants tried to climb over the fences in several waves moving upon Melilla. About 700 made it past the fences while six died in clashes with Moroccan security forces. The 2005 events at the Melilla and Ceuta border fences are the subject of a documentary film, Victimes de nos richesses. Before the third fence came to be implemented following this and similar incidents, the mountainous buffer zone between Spanish and Moroccan border patrol positions that lies next to the fence registered hectic activity with African people provisionally camped there while preparing massive assaults on the fence, something which became a tactic in order to outnumber the Spanish border patrols. So far the new fence has succeeded in deterring new intrusions and the sub-Saharan camp sites in the buffer zone have mostly disbanded. From these, Amnesty International and Médecins Sans Frontières accused the Moroccan government of dumping people from various African countries (some of them claiming to be validly registered as political refugees) in an uninhabited area of the Sahara Desert without food or water supplies. I’m sorry, I don’t know anything about them. I just watched a few videos on YouTube and there do seem to be quite a large number of different designs. So a person might be able to find one that would work on our new bollard fence on the Mexican border, but I’m definitely the wrong person to ask about that! What might not be obvious to some is that those are extendable towers. Those will extend up 15 or 20 feet.